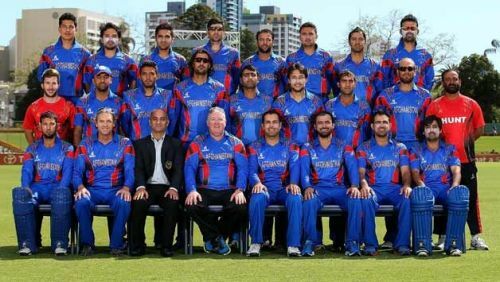 Afghanistan cricket has received the admiration from the entire cricketing world for their journey from being a war-torn nation to receiving a full member status in all 3 formats of the game. The Afghanistan journey is one which has left everyone spellbound with awe and affection. The country which was granted the status of an affiliate member of the International Cricket Council (ICC) in 2001 is currently a part of the top 10 teams in the ICC ODI rankings. They are also ranked 8th on the T20 rankings ahead of World Cup winners like Sri Lanka. Afghanistan was recently granted the status of a Test playing nation on the 22nd of June, 2017. The growth of Afghanistan cricket has been phenomenal over the years. A country which was playing 5th Division cricket in 2008 is currently posing a threat to top-ranked teams like India and Pakistan. 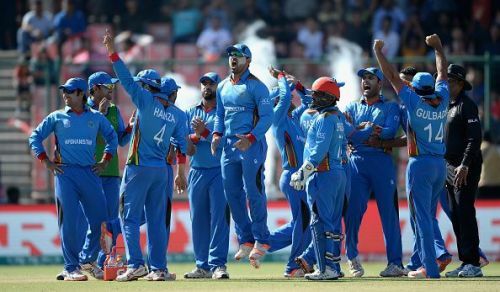 Afghanistan in the past one year has caused great upsets beating World Cup winning teams like West Indies and Sri Lanka. Afghanistan first qualified for a World Cup tournament in 2013 after defeating Kenya in the ICC World Cricket League Championship. That win brought them the opportunity to feature in the 2015 ICC World Cup. In the 2015 World Cup, Afghanistan achieved its first ever victory in the World Cup as they defeated Scotland. The players who earlier used to stay in refugee camps are today leading the charts in International cricket. Afghanistan also received great appreciation for their inaugural edition of the Afghanistan Premier League. Players like Chris Gayle, Brendon McCullum, and Shahid Afridi also took part in the inaugural edition. In the past two years, the performance of the Under-19 team has been splendid. They emerged winners of the Under-19 Asia Cup in 2017 defeating Pakistan in the Finals and also reached the semi-finals of the ICC Under-19 World Cup this year. Some of the major highlights of the journey of Afghanistan cricket so far are shown as follows. Afghanistan received their ODI status in 2009 and their first ODI game was against Scotland. Afghanistan is currently ranked 10th in the ODI rankings. ICC World Cup 2015 - Afghanistan first featured in a 50 over World Cup in the 2015 World Cup. The World Cup provided them with a taste of cricket played at the highest level. They were drawn with teams like Sri Lanka, Bangladesh, Scotland, England and hosts Australia, New Zealand. The team led by the experienced Mohammad Nabi played 6 games out of which they lost 5. The highlight for them was their first ever World Cup wins which came in their 3rd match against Scotland. The match was a nail-biter where Afghanistan prevailed to win by 1 wicket. Afghanistan played a series of matches post the 2015 World Cup where they played teams like Bangladesh, Ireland, and Zimbabwe. They played out a series which ended 2-1 against Bangladesh and then went on to thrash Zimbabwe 4-1. They also prevailed 3-2 over Ireland in the 5 match series. They even registered a 1-1 draw against West Indies in the 3 match series. Asia Cup 2018 – Afghanistan showcased its best cricket in recent times and how they are a force to be reckoned with in the recently concluded Asia Cup. Afghanistan was drawn with Sri Lanka and Bangladesh in Group B. They started their Asia Cup campaign against Sri Lanka. In their first game, they rode high on Rahmat Shahs 72 and contributions from both the openers to put up a total of 249. In reply to Afghanistan’s 249, Sri Lanka got skittled out for 158 in 41.2 overs. Sri Lanka was bamboozled by the spin trio of Rashid Khan, Mujeeb and Mohammad Nabi. All three of them picked 2 wickets each. Afghanistan’s win brought an end to Sri Lanka's Asia Cup campaign. In the next match, Afghanistan once again put up a clinical performance with both bat and ball to thrash Bangladesh by 136 runs. With their back to back wins, they qualified for the Super Fours topping Group B. The spin trio of Afghanistan once again prevailed picking 5 of the Bangladeshi wickets in the 27.1 overs they bowled conceding just 59 runs amongst them. In the Super Four Afghanistan lost 2 of their 3 games to Pakistan and Bangladesh in games which went down to the wire. They were beaten by Pakistan. Pakistan after their early wobbles was able to beat Afghanistan riding on Shoaib Malik's unbeaten 78 of 90 balls to win by 3 wickets. In their next game against Bangladesh, the match went to the last ball as Afghanistan lost by 3 runs. The most thrilling match of the tournament came between the defending champions India and Afghanistan. Batting first Afghanistan’s opener Mohammad Shahzad scored a dominating 124 off 116 balls. His innings took Afghanistan to 252 at the end of their 50 overs. The Indian team started off really well with the openers KL Rahul and Ambati Rayudu scoring at over 6 an over. The Men in Blue were in a comfortable position with the score at 110 at the end of the 16th over. Then came the spin duo of Rashid Khan and Mohammad Nabi who reduced India to 205 for 6 in 39.4 overs with the likes of Dinesh Karthik and M.S.Dhoni back to the pavilion. The Afghanistan team looked to be on top. The match went to the last over with India needing 7 runs to win with 1 wicket in hand. Rashid Khan bowled the last over. Ravindra Jadeja smashed Rashid for a four in the second ball of the over after which India just needed 3 to win off 4 balls. On the second last ball of the over with the scores level, Jadeja going for a pull got caught at midwicket to end the game as a tie. Mohammad Shahzad was awarded the Man of the Match trophy for his brilliance with the bat earlier on. Rashid Khan ended as the joint highest wicket taker of the tournament with 10 wickets.